LICKS is filmed on location in the Bay Area with a cast and crew that was born and raised here. It was a first time experience for everyone involved, yet the movie has received quite a bit of attention after its premiere last year at SXSW. It is coming to San Jose for a one night screening at Camera 12 tomorrow. You can find out more about the movie over here. 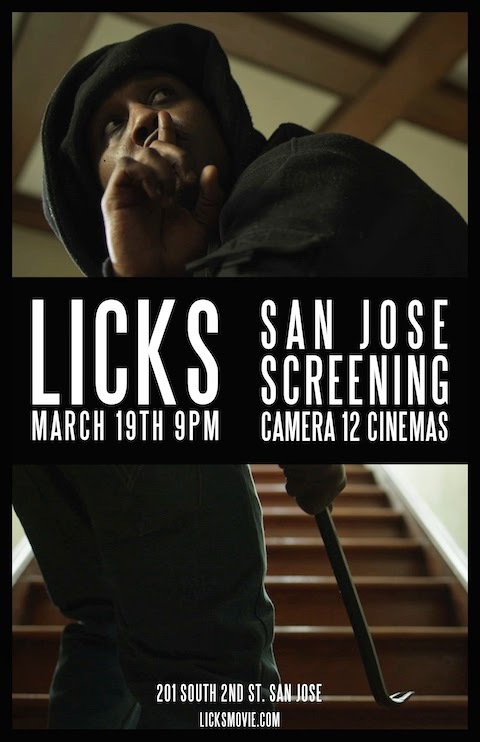 LICKS follows the story of a young man, D, as he returns to his Oakland neighborhood after serving two years in prison for a robbery gone wrong. In the days after his release, we are taken into D’s world while he navigates the harsh realities that plague his inner city community. His judgment is tested by the insidious influences around him, forcing D to decide what direction to take his life.